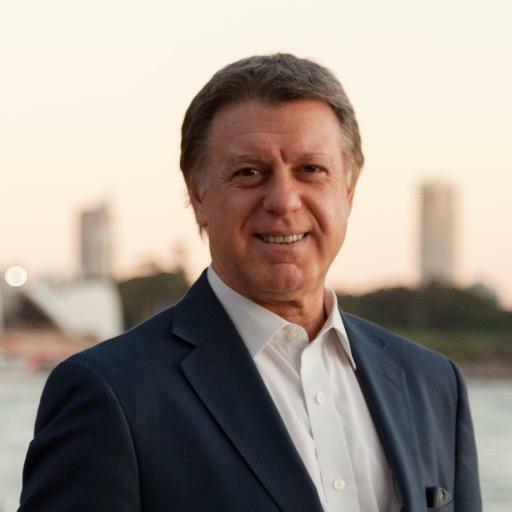 Frank is the former CEO and President of the International College of Management Sydney, (ICMS). Frank’s career has spanned, Marketing, IT, Business Strategy Development and Executive Management in a diverse range of industries all over the world. His latest project is launching his own his own consulting company. John is celebrating his successful issuing of half yearly subs invoices using Club Runner through our new website. Subs are now due for the second half of the year. Pay on the net including an identifier to ensure your subs payment is credited to you! Viv was very excited to report that the Quest Apartments are being refurnished. Stacy Randall, a former head of the Chamber of Commerce, arranged for Manly Rotary to receive the furniture which is being replaced. It includes a board table, smaller tables, chairs, lounges and an electronic white board. Viv plans to organise a working bee to set up the training room. All of the items on offer are in excellent condition. Viv feels they will suit the individual units and the common areas allowing us to achieve a much more comprehensive upgrading of the facilities at homes4Heroes than we had originally planned. Ted has offered to hire a two ton truck to collect the goods, thank you Ted. Robert will help and we need more able bodied men to assist. It is hoped that the residents at Homes 4Heroes may be available to assist. Well done Viv! This project is really thriving under Viv’s management. Last week we agreed to allow $1000 to purchase homewares for three units at Homes4Heroes. Naturally it was found that $1000 was insufficient. Helen Hendry generously donated a further $1000 and other friends of Viv, Bruce and Anna Nettleton, contributed a further $500. Our Deductible Gift Recipient status encourages this type of donation. Thank you Helen, Viv and Bruce your ongoing support of our efforts is wonderful and enables us to achieve our goals! Our Pride of Workmanship and Community Awards dinner will be held on 1 October this year. Jason asked members to seek to identify potential awardees. Last year’s recipients were exceptional so Jason and his team have set themselves a very high standard to live up to! If you can suggest a nominee for either award contact Jason by 31 August. .
ADI is hosting a presentation by Dr Max Osborne who has recently returned from an extended posting in Papua New Guinea providing medical services to remote villages. George McLelland encouraged members to come along and learn about the work of ADI. Contact George for further details. Whilst at Oracle Frank realised that in spite of planning and access to resources minor issues caused many big projects to fail during the implementation phase. Frank noticed small companies often succeeded with fewer resources and inputs. He found that the success being experienced by smaller companies was often as a result of the culture within the organisation. In particular he observed that often very small seemingly insignificant things often made a big difference to the success of company. Frank compiled the experiences of 1200 organisations in implementing computer software. He looked at what worked and what didn’t. Frank concluded that success came from constant incremental improvements. He also found that business strategies failed and became bogged down because of small issues. He listed a few such issues we could all recognise including: long irrelevant email trails, procrastination caused by “boss fear”, the existence of a “not my job” attitude, internal competitiveness rather than cooperation, siloed departments. He found that often the biggest competitor big businesses face is themselves! There is so much Manly Rotary can learn from Frank’s talk. A New Ireland school headmaster received a potentially life-saving intervention during a routine check-up performed by an ADI patrol doctor recently. Dr Max Osborne saw the local teacher during a recent visit to an Aid Post. The patient had no significant past medical history, was a non-smoker and took no regular medications. He presented with non-specific symptoms including tiredness and was also overweight. “On physical examination I discovered that the patient had an extremely high blood pressure reading of 250/150 – well above the normal range of below 130/90,” Max said. Max immediately started the patient on medication and arranged for him to be transported that same day to Kavieng Hospital in the ADI vehicle. A management and investigation plan was instituted in conjunction with the hospital doctors at Kavieng. The patient’s hypertension was appropriately treated over the next few days and he began the path of risk reduction. He made a commitment to reduce his weight and embark on a gentle exercise program. The patient was discharged from hospital on blood pressure tablets and Max was able to review him at his house whilst on another ADI patrol. “I was pleased to find that his blood pressure reading was within the normal limits and he was looking forward to resuming his teaching duties. The patient was very grateful for the treatment he had received,” Max said. Although tropical diseases remain prevalent in PNG, the population also suffer from the same pathologies, such as hypertension, that afflict western society. With the support and education that ADI patrol doctors can provide, local PNG medical staff can become better trained to identify these pathologies when they present. Hat Day is Australian Rotary Health’s national fundraising and awareness day for mental health research, celebrated each year on World Mental Health Day - Friday October 9, 2015. Since the inaugural Hat Day in 2011, Hat Day has claimed two Guinness World Records (most people wearing paper hats & most people wearing red hats). Hat Day recently launched a new logo, as well as a new website with social fundraising features. Hat Day has acquired a number of high profile ambassadors in its five years of running, including actors Elle Dawe, Matt Lee and Pauly Fenech. Most recently, we were joined by Dr Happy – Dr Tim Sharp, Chief Happiness Officer at the Happiness Institute. Since 2014, Hat Day has also partnered with the ABC to promote mental health research in Australia.